New Holland has a long tradition of excellence and consolidated leadership in the production of specialised orchard tractors. Designed and built to meet the needs of professional fruit growers seeking a compact machine offering exceptional performance in the power range from 55 to 72hp, the new T3F series tractors can move with ease between rows, offering excellent performance for spraying, cultivation and road transport. In addition, these machines continue the New Holland tradition of ergonomic excellence, by providing the operator with a comfortable working environment with simple and intuitive controls. 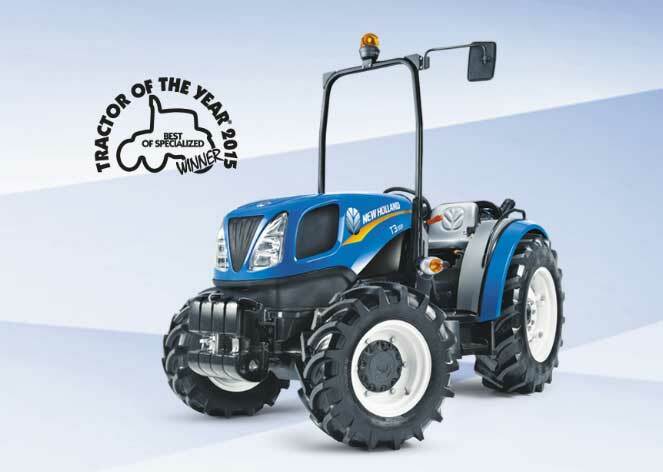 In the field of compact orchard tractors, there’s only space for New Holland between your rows.